Workers compensation plans can protect employees from sickness or injuries that they experience while on the job. In addition, death benefits, or survivors benefits, are extended to the surviving dependents of the employee under certain circumstances. The benefits from workers compensation plans vary according to state law, and if you are a survivor who may be entitled to death benefits, understanding your rights one can be somewhat tricky. According to data compiled by the Arizona Municipal Risk Retention Pool (AMRRP), there were a total of 888 workers compensation claims, and include 127 claims that resulted in lost wage or permanent impairment compensation had been paid to the worker. In 2010, the United States Social Security Administration reported that approximately 4.5 million individuals in Arizona alone were widows, widowers or parents of a person receiving benefits from social security. Clearly, these benefits are a necessity for the dependents of the family's wage earner, and the need for reliable income does not end when the wage earner becomes deceased. If the wage earner in your household dies, you may feel that there are many unanswered questions that come at a very inopportune time feeling vulnerable and frustrated because of your loss and because of the death benefit claim process is not an uncommon experience for individuals in the same situation. If an employee who is covered by workers compensation dies as a result of their accident or any incident that relates to their worker's compensation claim, the surviving widow or widower, any surviving children and dependent parents may have a claim to the earnings that they made in life. Oftentimes, the surviving spouse's claims are denied because of a technical oversight, or the process seems overwhelming. If you or a loved one is attempting to claim death benefits from the deceased wage earner in your household, it may be helpful to contact a Phoenix workers compensation attorney so they can assist you with the process. 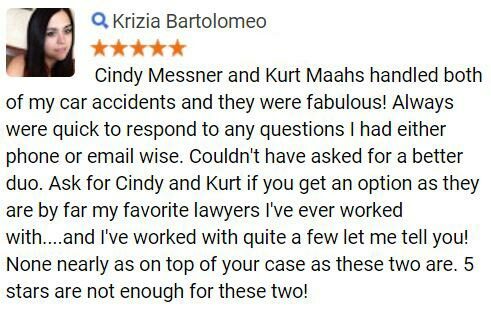 Fill out the Free Case Review form on the right side of the page to see how we can help it's 100% FREE and without any obligation. Who Qualifies For Death Benefits? State laws and statutes dictate the exact stipulations surrounding who can qualify as a surviving dependent of the deceased employee, and how much compensation they are entitled to. The eligible parties are categorized as either dependent or as members of the deceased's family or household. Surviving spouse- benefits are provided at the rate of 66.67% if there are no children; with children, the surviving spouse is eligible to receive 35% compensation. Children or stepchildren- benefits are extended until the age of 22 if enrolled as a full-time student, otherwise until the age of 18. If disabled, the compensation may continue throughout the child's life. Parents- if both parents are wholly dependent on the deceased employee, they are eligible to receive 40% compensation; a single dependent parent may receive 40%. Siblings- 25% compensation to a single sibling who is a dependent of the deceased employee. If more than one brother or one sister is totally dependent, 35% compensation may be divided among them evenly. Of course, every family situation is different and the laws revolving around workers compensation death benefits can be difficult to interpret. It is always wise to seek legal counsel following the death of a loved one who is covered under workers compensation so that you and your family can fully understand your rights and privileges as survivors. What Else Do Death Benefits Cover? In the event your loved one dies as a result of an accident related to their employment, workers compensation death benefits in Arizona will help to reduce the financial stress that is placed on you during your time of need. If you or a loved one has been affected by the work-related death of the wage earner in your household, you may be entitled to death benefits from their worker's compensation plan, as outlined in Arizona's state workers compensation benefits law. Seeking an experienced attorney with knowledge of workers compensation benefits will help you and your family to navigate the frightening circumstances that now face you. With legal representation, you can fully understand the rights and benefits you may be entitled to, and without understanding the complicated laws surrounding workers compensation, you could be losing valuable income that your family needs during a very difficult time. 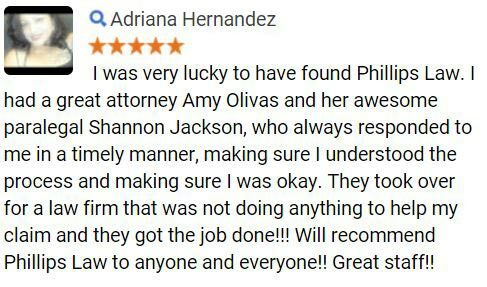 As one of Arizona's largest consumer law firms, the skilled Phoenix personal injury attorneys at Phillips Law Group have the resources and the desire to help the victims of workers compensation death benefit claims to receive the maximum benefits due to them. 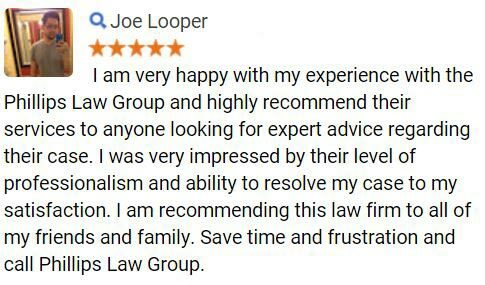 Our experienced and dependable legal team understands that the death of a loved one can put more than just an emotional strain on a family, but the financial strain it causes can impair that family's ability to continue to live a full and thriving life. At Phillips Law Group, we want to help you and your family by assisting you in understanding your rights in cases of workers compensation death benefit claims. 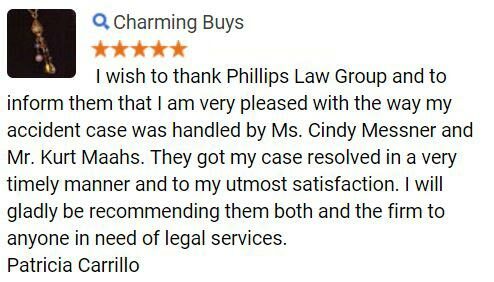 To find out how Phillips Law Group can help you understand your rights and bring much-needed peace of mind, call us nationwide at 1-800-706-3000. If you would prefer to contact us online, simply fill out and submit the Free Case Evaluation form, located on the right-hand side of this page. The call is strictly confidential and 100% FREE to send.